RAYMOND, Miss. -- The Mississippi State University Extension Service hired three regional registered dietitians to help in the fight against obesity and chronic disease in Mississippi. Samantha Willcutt, Kaitlin DeWitt and Juaqula Madkin have joined the Extension Office of Nutrition Education. They oversee the Extension Supplemental Nutrition Assistance Program Education, or SNAP-Ed, curriculum and delivery in their regions. Willcutt, DeWitt and Madkin work with SNAP-Ed nutrition educators in Extension county offices to help coordinate efforts to teach low-resource families ways to improve their diets, increase physical activity and manage their food resources. Nutrition educators deliver direct instruction in communities and schools. Current SNAP-Ed programs include Cooking Matters, a hands-on cooking and nutrition series used in communities; Smarter Lunchrooms, a program designed to encourage children to make healthier choices in the lunchroom; and implementation of school and community gardens. 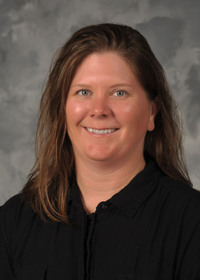 Willcutt, who directs the program in the northeast region, is based at the North Mississippi Research and Extension Center in Verona. Willcutt earned a bachelor’s degree in interdisciplinary studies and a master’s degree in nutrition from MSU. She has a decade of experience in restaurant management. DeWitt, who manages the program in the southeast region, has an office at the Coastal Research and Extension Center in Biloxi. She earned a bachelor’s degree in food science, nutrition and health promotion from MSU. She holds two master’s degrees: one in nutrition with a concentration in public health nutrition and another in public health with a concentration in community health education. 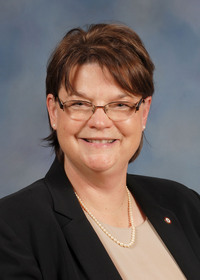 Madkin, who oversees the program in the southwest region, is located at the Central Mississippi Research and Extension Center in Raymond. 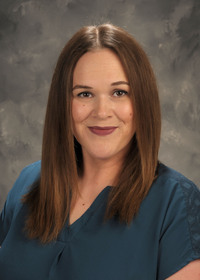 She earned a bachelor’s degree and a master’s degree in nutrition from MSU and has more than 14 years of experience working with health, wellness promotion and nutrition coordination in community, private and academic settings. Madkin is a certified diabetes educator. Extension works with the Mississippi Department of Human Services and the U.S. Department of Agriculture Supplemental Nutrition Assistance Program to deliver the SNAP-Ed program in Mississippi.